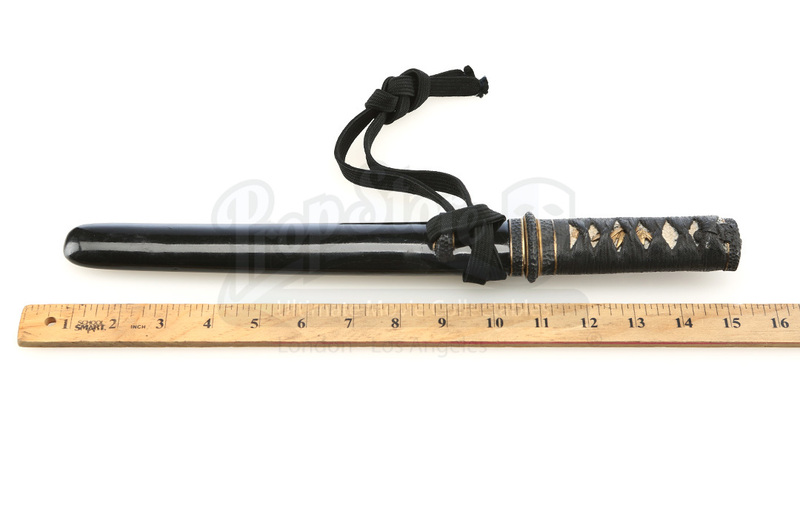 This is General Hasegawa's (Togo Igawa) hero dagger from the 2003 period piece The Last Samurai. Near the beginning of the film, Nathen Algren (Tom Cruise) and an army led by General Hasegawa lose a battle to an army of samurai. After the loss, in order to preserve his honor, General Hasegawa stabs himself with this blade before Katsumoto (Ken Watanabe) finishes the job with a sword. This dagger is made of resin and crafted to mock a metal blade. The hilt features small, divot-like designs and is wrapped in a piece of twined lace for superior grip. The black sheath is made of plastic and there is a piece of lace looped through it which could be tied to a belt. 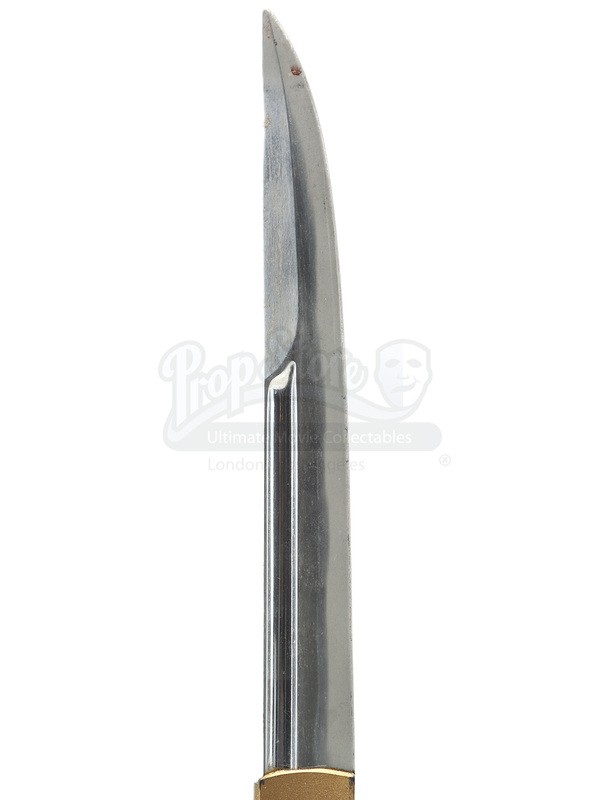 The dagger measures 14.5" (37cm) and is in great condition with mild wear due to production use.